Holiday Apartment with beautiful studio room, sleeping two - with seperate bathroom and kitchen. 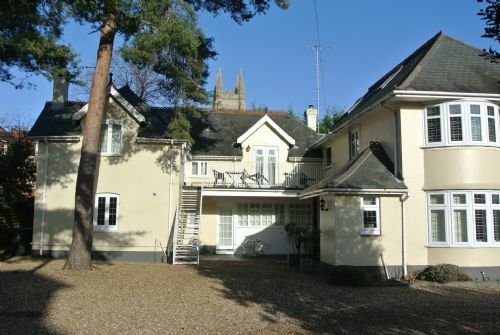 Beautifully presented self catering holiday apartment sleeping 2, located within a superbly maintained character building close to Bournemouth Town Centre and within walking distance to Bournemouth Blue Flag golden beaches. 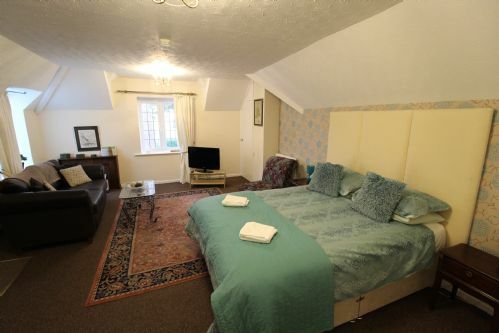 The Coach House - Apartment one is located on the first floor and is accessed via one flight of external stairs. 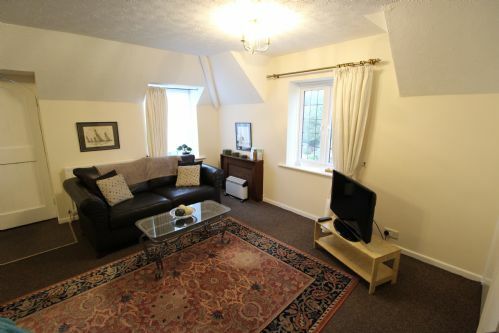 The accommodation itself provides a fantastic home from home set up with everything you could need. 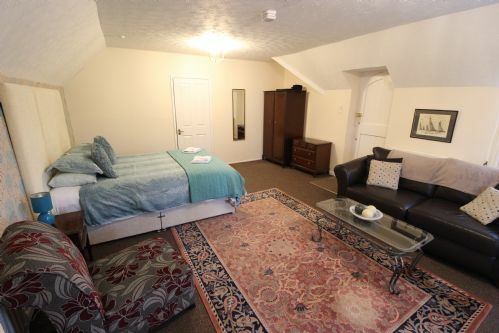 King sized bed, a large sofa and a 32 inch TV with Freeview. 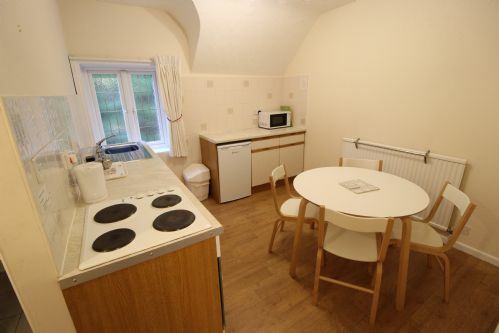 There is a large separate kitchen which comes fully equipped with oven, hob, fridge, microwave, toaster and kettle. 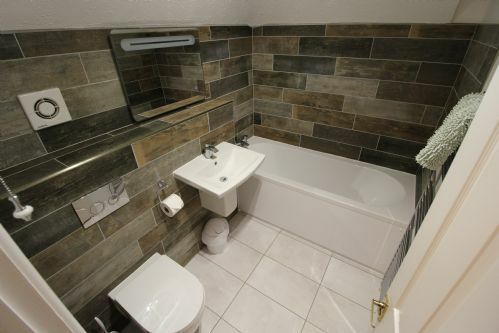 Contemporary, fully tiled bathroom with shower attachment over bath and a shared balcony with views over the impressive grounds. 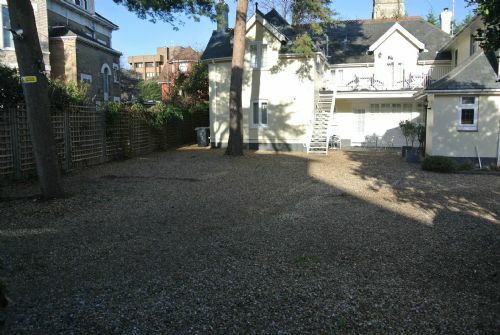 This property would ideally suit an individual or couple looking for a peaceful setting that is within easy access to the Town Centre and the beautiful beaches. With attention to detail everywhere you look, the owners have maintained the apartments and the grounds beautifully and work hard to ensure each guest has the very best stay in Bournemouth. 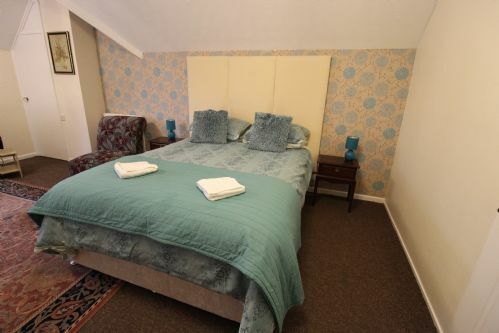 Book your holiday at The Coach House and you will not be disappointed. Bournemouth really does have something to offer all who come to visit. 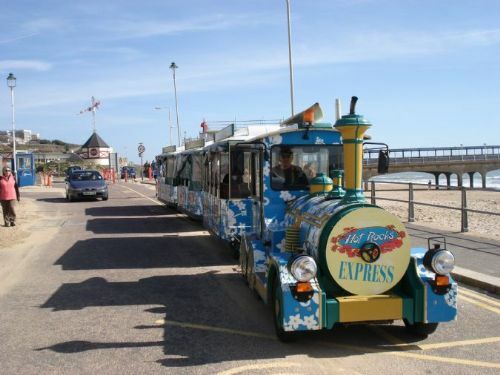 Most popularly known for its seven miles of award winning Blue Flag golden beaches! Bournemouth has ample to offer in entertainment, dining experiences and free events. 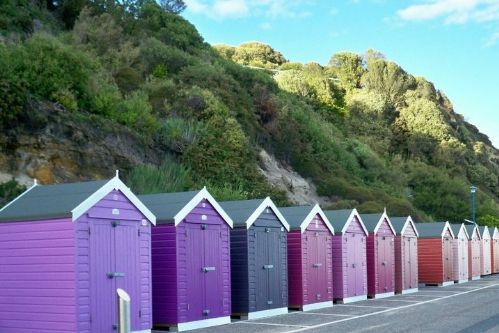 Situated on the sunny South Coast of England, Bournemouth is a year-round cosmopolitan resort. You can enjoy the atmosphere and attractions of a pretty award winning Victorian Town and discover the stunning area that surrounds it. 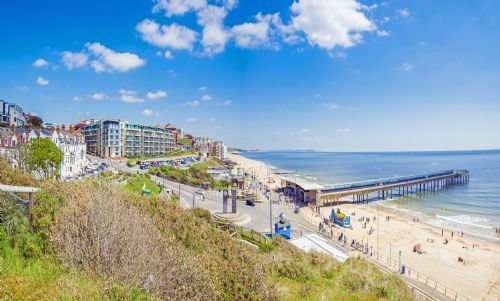 Bournemouth is the ideal resort for a weekend break, holiday getaway with the family, celebration break or last minute destination any time of year. Come in the Spring and see the beautiful blooming gardens, or visit in summer and stretch out on seven miles of sandy beach. Autumn is unusually warm in Bournemouth because of its micro climate – so why not come and enjoy our sunny days or book a festive trip in the winter and buy your Christmas gifts at our Christmas Market. 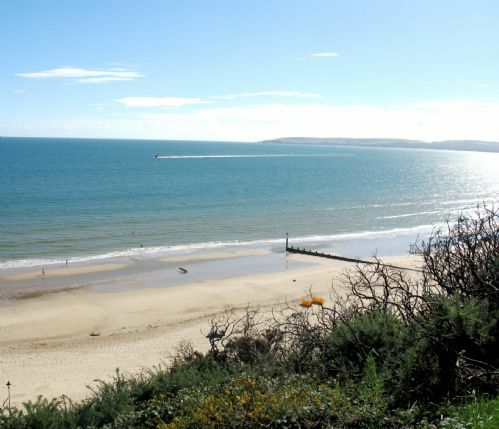 Bournemouth lies in the heart of Dorset on the south coast. Bournemouth is a “shoppers paradise” with most of the town centre being pedestrianised and offering shops, boutiques, beauty salons, restaurants, cafes and coffee shops, perfect for some well deserved retail therapy. In the evening there is a real buzz in Bournemouth, the town is renowned for being a stylish evening out with over 250 restaurants to chose from, and if its a cocktail or a glass of wine and some dancing you are in the mood for then you truly are spoilt for choice -there's a whole host of bars, nightclubs, pubs and wine bars on offer. The breath-taking Dorset coastline offers everything from picturesque harbours, long sandy beaches, dramatic cliff top formations, hidden coves and rock pools.